I’m lucky enough to be travelling through Europe for a few months this year and found some extremely cheap accomodation in Biarritz for most of June. Have been here for a few days now and the surf has been small and onshore. I didn’t bring a surfboard with me to Europe as much of the trip will be spent inland and carrying board/s on crowded public transport in major cities sounded like a nightmare. I did bring a wetsuit in my backpack though. I’m looking to buy ( and eventually sell) a secondhand board. Just wondering if anyone here has spent much time in this region at this time of year and has any advice for me. Long breaks between swell events but at least it's not snowing on the beach! Settle in to a rhythm, it's a great place to just hang around - though get out of Biarritz for the best surf. Looks like a couple of swells on the way too, Fri-Sun and then a winteresque pattern from next Thursday onwards (latest models have some decent size next weekend, though windy). Agree with Ben - get out of Biarritz and up to Hossegor - the joint is a magnet. Or down to St Jean de Luz if it's solid. Some great reefs around that neck of the woods. I'm off late next week as well, and licking my lips at the current forecast. 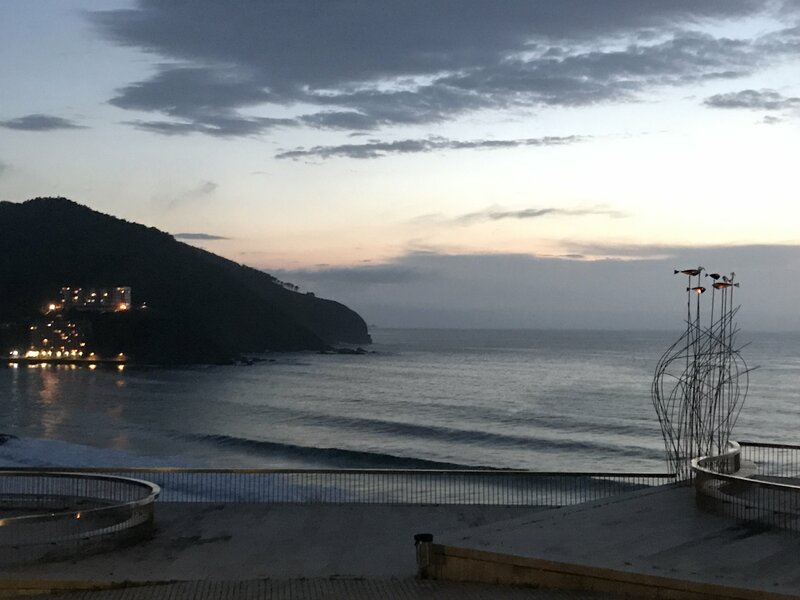 Thinking endless lefts firing off across North Spain. 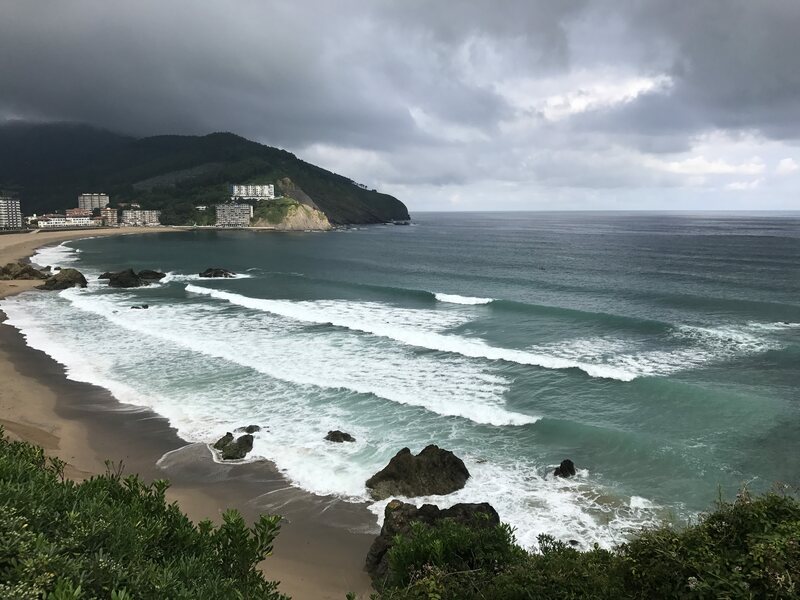 Anyone got any tips besides Mundaka which I'll keep an eye on, maybe email if you want to be discrete :) [email protected] Google Earth has some potential! Not just lefts in the north Craig. 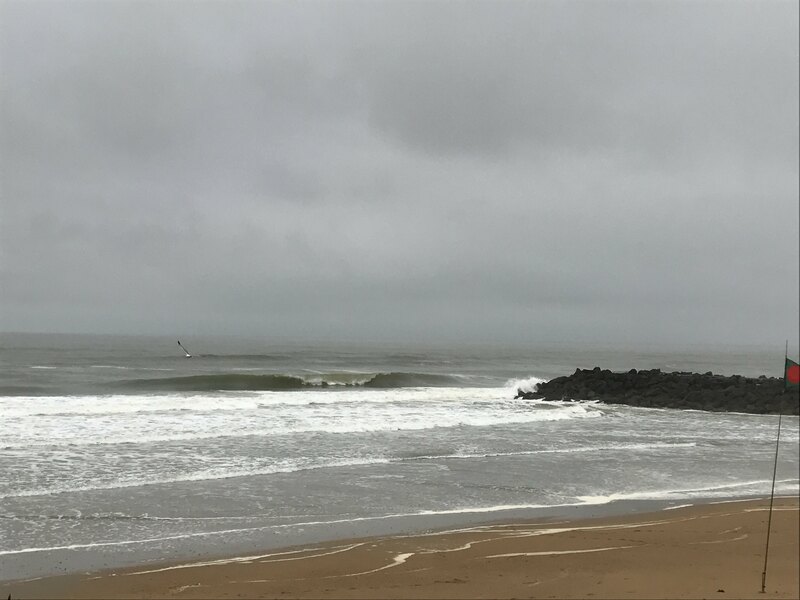 Plenty of long empty beaches, wedging rivermouths and right hand points as well. Pretty much the whole spectrum. DK, instead of buying a board, you could save yourself the transport hassles and just rent one from the local surf shop/school in whatever town you wash up in. 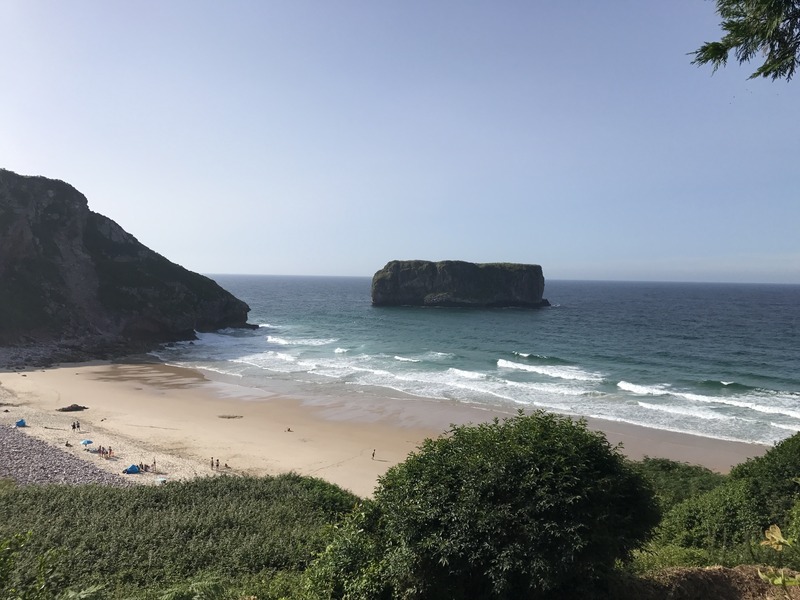 I spent six weeks in the last northern autumn travelling from France to Portugal by train along Spain's northern coastline, stopping every 250km or so and using an Airbnb flat as a base to explore the local area. I never had trouble finding a board, although I ended up with some interesting rides that I wouldn't have ever bought. Never mind, variety is the spice of life and all that. Thanks for the suggestions MM & Ben! @surfstarved that sounds like you had a great time. Did you score some good waves? @craig let us know how ya go & how long are you in Europe for? Thanks Surfstarved! Yeah I'm, thinking of buying/hiring a board over there as while surfing if there are waves, I'm wanting to do a bit of hiking as well. Just researched the Picos de Europa National Park and wow, I'm gonna lose my mind! The scenery and hiking looks insane. Only 3 weeks with a wedding at the end of the 2nd week in south-west France. Not sure I'f I'll reach Portugal but keen as to explore that if I get past the north of Spain. Hi Craig, Asturias is an amazing part of the world. I recommend you get in touch with Matthew at 'Benga Asturias' (you can google it) he runs guided walks through the Pico's and other parts of the region and is also a very keen surfer. I am sure he could give you some hot tips. Don't expect buying a second hand board will be as easy as a gumtree raid over here. I was staying with the family in Royan (north of Lacanau, on the other side of the river), and couldn't find anything at a decent price online, on the local gumtree equivalents. Best bet is to go through the local surf shop(s) but don't expect a huge amount of choice (for 2nd hand). In the hand I got lucky and settled for a nice little fish for 250 euros (way above my initial target of AUD 200 :-p) which was a lot of fun in the water. In saying that Biarritz should be a bit better for choice. There's a story in an old Surfers Journal about an American surfer taking a last-minute trip to SW France. Didn't look at swell maps, wasn't a strike mission, had no idea what he'd find. First things first, he had to buy a board so he hit up a sports shop and scanned the rack of beaters till he saw a 'Superfrog' that caught his eye. Pulled it out and flipped it over, written down the stringer was the shapers name, 'W. Lynch'. Of course he got good waves and had a hell time. You know how that story goes. Then at the other end of the spectrum is Surf Starved's experience of buying a board with centre fins on the side and getting royally ripped off. Given a choice, they're the stories I prefer to read. I was thinking taking boards over, but putting them in storage while doing the tourist thing with the wife (ie Paris ect) anyone done this? Funny you say that, I bought a superfrog too. Thanks for the advice Rooinek and also Yeti. I'm guessing petty crime is lower around northern Spain compared to the rest of the country and say France? Has anyone been stitched up, I'm usually quite aware of anything dodgy going down. From what I remember (15 years ago) it was as dodgy as France. Didn't venture far from the border though. Also never had issues in other parts of Spain. There's usually a fair selection available on milanuncios . Just type in "tabla de surf", set your price range and location and away you go. And to answer your question DK, got some great waves. One wedging little rivermouth (as previously noted) somewhere not too far east of Mundaka, a nice clean beachie over on the west coast of Cantabria and a few others that I won't go into too much more detail about here. Suffice to say there are plenty of options along the full length of that coast. Had any luck surf wise Craig? 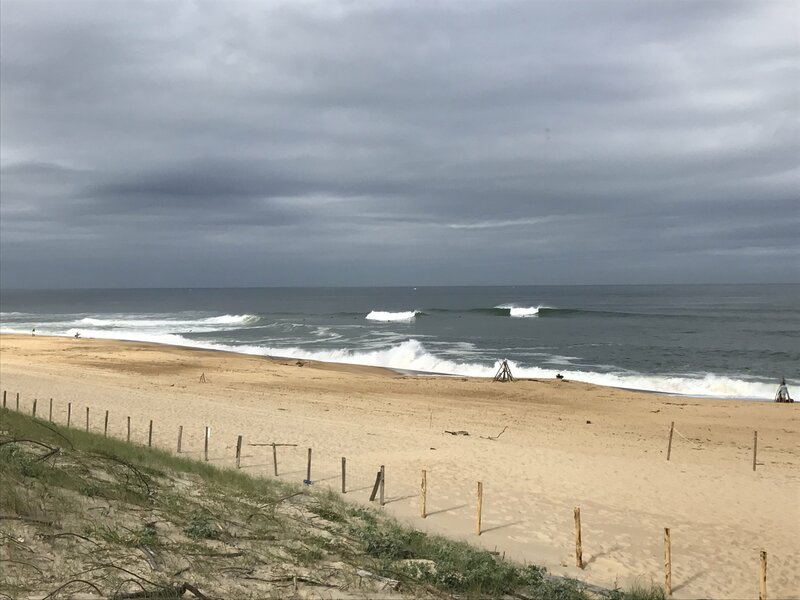 It’s been slim pickings here with the exception of a few fun early morning & late arvo surfs at the beach breaks last week. Yeah, kinda semi scored Dead Kennedy for summer! 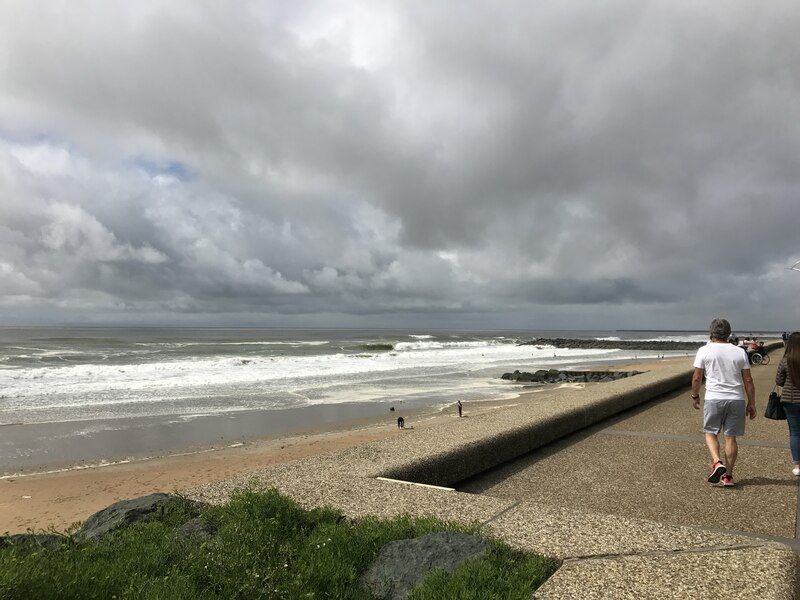 Will have a story on the trip but post that stormy filthy weather I surfed empty Anglet at a heavy 3-4ft on the 17th..
And then went up to Hossegor. Surfed late at Naturist on a full cross-onshore 4ft aframe, but then found my bank at Les Bourdaines. 3-4ft+ Left that pumped on the high tide. Like a reef setup when clean, so fun and bowly and predictable, 6 turns to the beach and not too crowded besides one morning. This morning that it was crowded sea fog came in and kept the sea breeze away over high as everyone left leaving 4 of us. 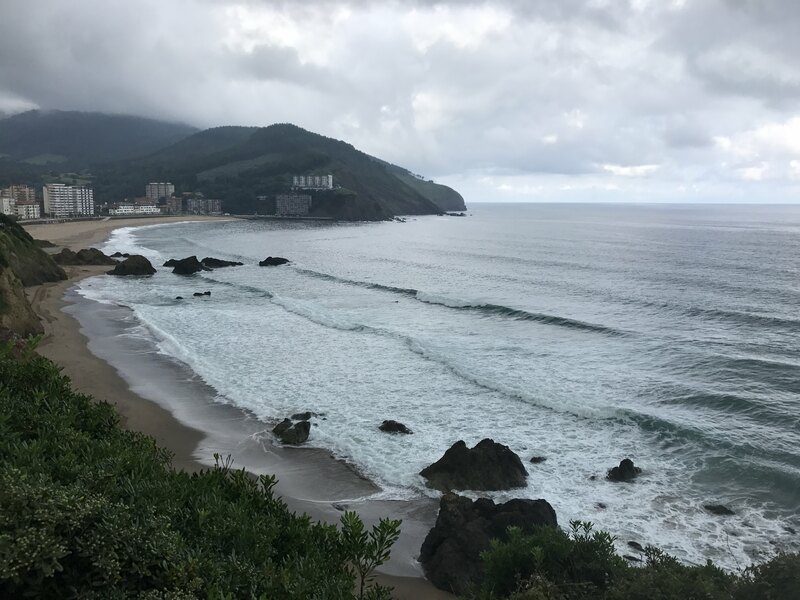 I surfed it for 3 days, so so fun..
Onshore afternoon but can see length..
After hitting the mountains around Picos de Europa headed to Andrin and had a fun but cold peaky NE windswell to 2ft or so. 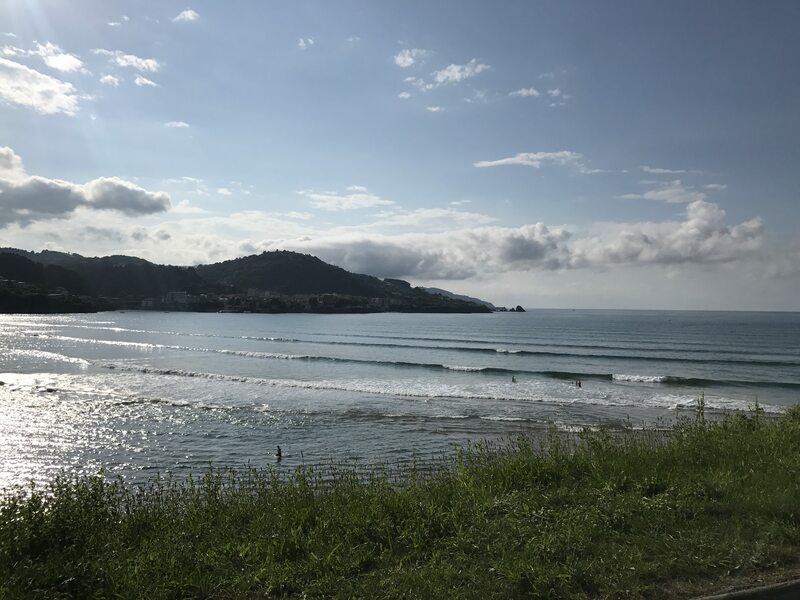 Just me and an Austrian guy that I helped teach how to surf and he nailed it..
Then final days scored a good NW swell around Bakio, Mundaka wasn't breaking but there were little 1-2ft waves on the right, with 4ft sets at Bakio late, and more 3ft the next morning, again with hardly anyone. I surfed the early solo for an hour before one other guy came out!